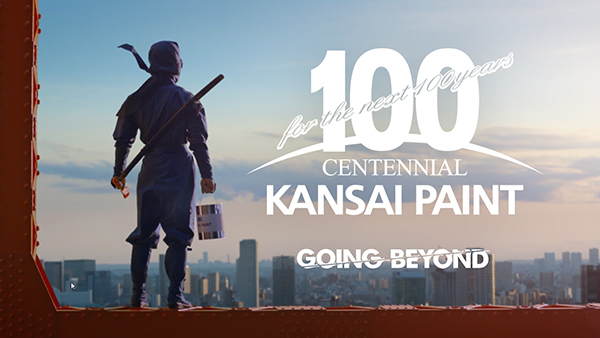 Kansai Paint has dedicated itself to developing paints for the last 100 years. Used not only for protection but also aesthetics and functionality, paint has many roles as a useful tool across the globe. By introducing products with unique functionality, Kansai Paint strives to convey its own unique perspective of the roles paint will play and the contributions to society paint will make possible in the next century. Kansai Paint uses “ninja” to help explain the functions and effects of paint in a fun, easy-to-understand manner.